No celebration displays more overblown enthusiasm for what is, in fact, the slimmest of accomplishments. In general, birthdays are simply an excuse to eat cake. The two most important birthdays, of course, are when one reaches Legal Drinking Age, and Age of Consent, the gifts for which are self-evident. While A Vile Old Queen discourages gifts for anyone else whose only achievement is that they survived yet another year, there are times when one must provide a gift, if only to enjoy the cake. Here then is AVOQ’s recommended list of age appropriate gifts. Remember that the gift wrap should match the ribbon, and the transparency of the tape should reflect the opacity of your genuine regard. Micro Fairy Tales. Click cover to Review & Buy. Adult versions of classic fairy tales. Click cover to Review & Buy. Romantic poetry and art collection. Click cover to Review & Buy. Collection of ink drawings inspired by skies over Hawaii. 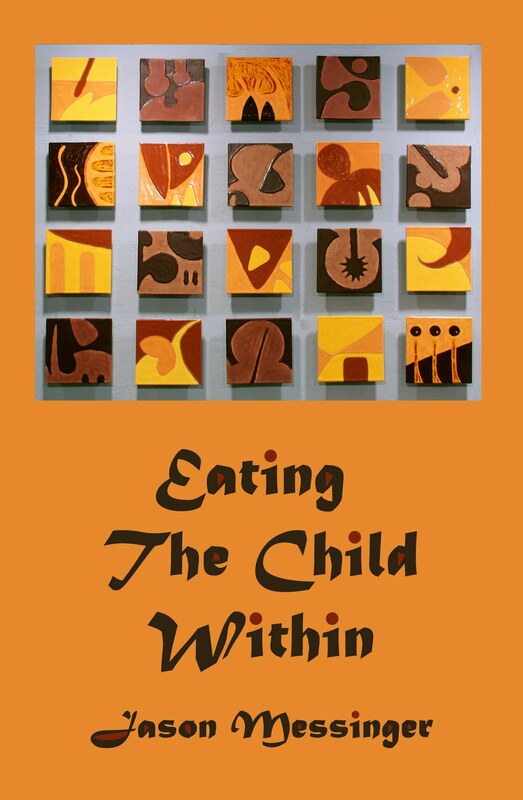 Click cover to Review and Buy. 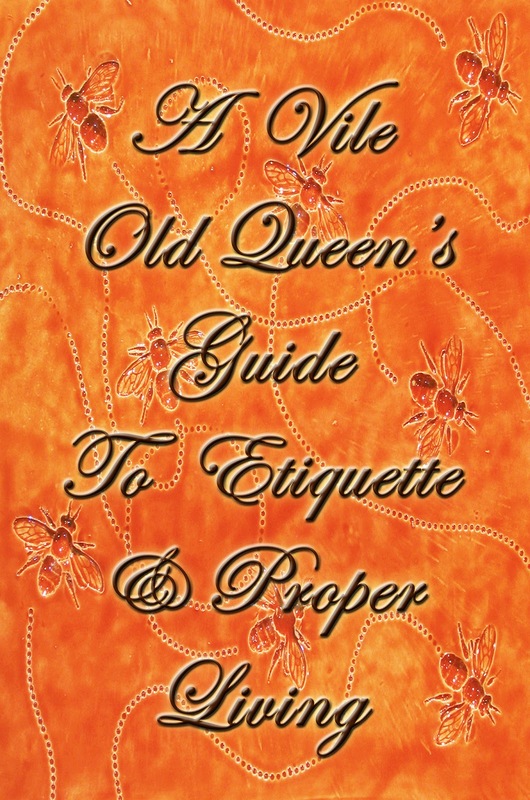 A Vile Old Queen's Guide To Etiquette And Proper Living - available now! Near The Big Chakra How about only those with a uterus get to decide what happens inside it? 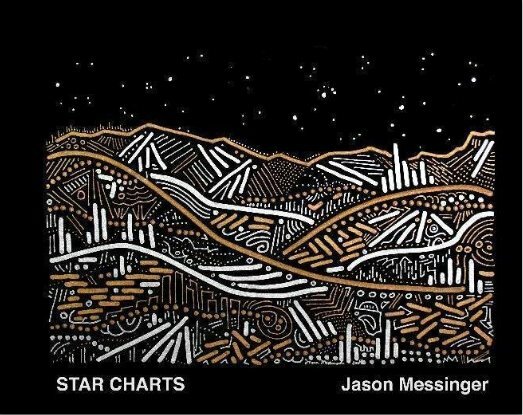 Preview the covers of these new books by Jason Messinger. 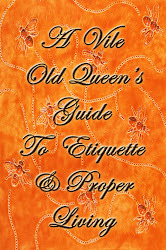 Check back soon to find out how you can order your own copies.